In a prior blog post I had recommended holding off on using Lightroom 5 for creating timelapse sequences with LRTimelapse as Adobe had made changes that eliminated the video export features from Lightroom when using LRTimelapse presets. 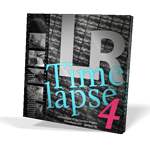 LRTimelapse has been revamped and no longer relies on video rendering using Lightroom. As a result LRtimelapse is now fully compatible with Lightroom Version 5. I have done extensive testing of the latest version of LRTimelapse 3.1 and can say that it is an exceptional upgrade from LRTimelapse 2. All the issues that Lightroom 5 presented are not longer a barrier. The lastest version is 3.1 and a beta for version 3.2 is also available if you are so inclined. Version 3 has an integrated module for video rendering that is much better and faster than what was available in Lightroom 4. You can export and render 4K and 6K resolution video, it has MP4 and ProRes support and can render in multiple aspect ratios. I would recommend the pro version so you can avail of all the great features that have been implemented. An easy to follow tabbed workflow for basic sequences, deflicker and holy-grail sequences makes timelapse creation a breeze. Note however, the old “Commercial” version has been renamed to LRTimelapse Pro. You can upgrade, cross-grade or purchase a new license by clicking here.